Allow me to preface this post about a frost heaved porch with a reference to Sherlock Holmes. Sir Arthur Conan Doyle’s Holmes and Watson solved fictional criminal dilemmas with deductive reasoning. In my cases, nearly 40 years of experience (plus knowing and relying upon input from many brilliant engineers) allows me to recommend solutions with a fair degree of certainty as to their outcome. 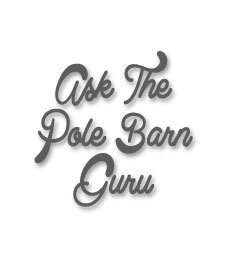 “My concerns pertain to my 50 foot by 72 foot pole barn which was built in 2008. The barn has a brick paved porch that wraps around the length of the barn on the south side of the building. The interior of the barn has a cement floor, poured at the time of construction. The barn has been very stable and sturdy since it was built, that is until this winter. I’d say Richard is probaby correct as to heaving cause. His building might get some degree of return to normalcy after Spring thaw, however probably not back to straight and level. Without involving services of a geotechnical engineer, who could actually do an onsite evaluation – about best I can offer will be how I would probably attack this challenge. I’d temporarily support the porch in the heaved column area. Cut both of these columns off at grade. Excavate ground below columns to remove embedded portions. Excavation needs to be deep enough so bottom of hole will be 1.5 times frost line depth below grade (probably around six feet). 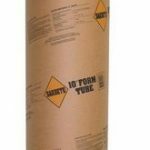 Place an appropriately sized Bigfoot® (https://bigfootsystems.com) in excavation bottom with a Sonotube® (https://www. sonotube.com) above. Use Sturdi-wall Plus wet set brackets (https://www.hansenpolebuildings.com/2017/05/sturdiwall-brackets/) in top of concrete poured in Sonotubes® to attach remaining portion of columns. All of these above suggestions, as well as proper sizing of Bigfoot and diameter of Sonotubes®, should be confirmed by a Registered Design Professional (RDP – architect or engineer), ideally whomever designed your building originally. Moving ground water away from your building will also prove to be an excellent idea to reduce or eliminate future challenges from frost heaves.